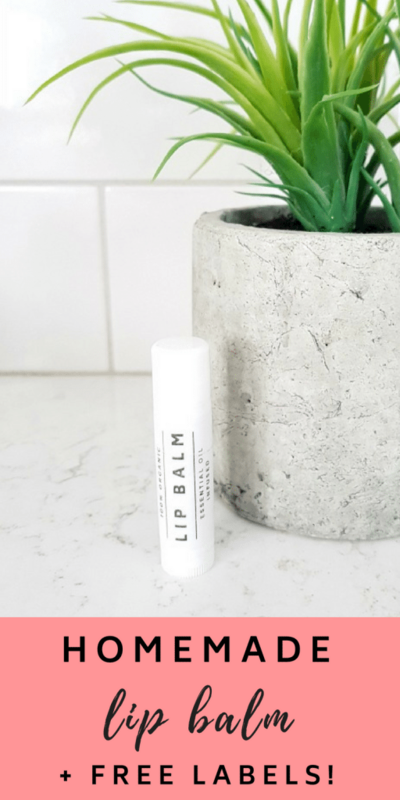 We use lip balm in our house like it’s going out of style. Especially in the chillier months! 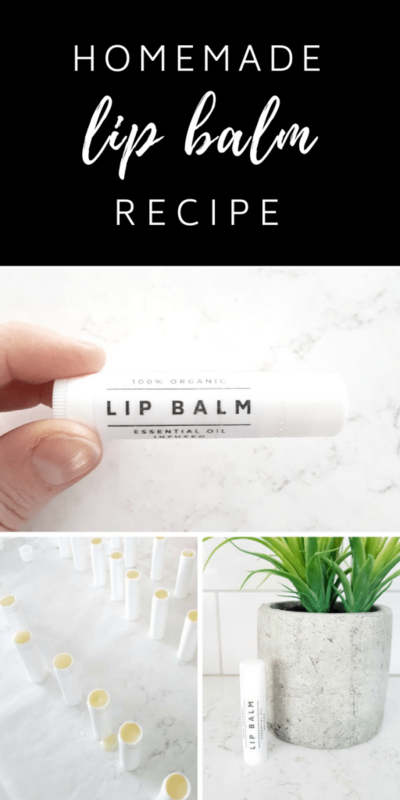 So, I figured I needed to start making our own homemade lip balm – both to save money, but also to know exactly what ingredients are in it (I wanted all organic, no toxins). 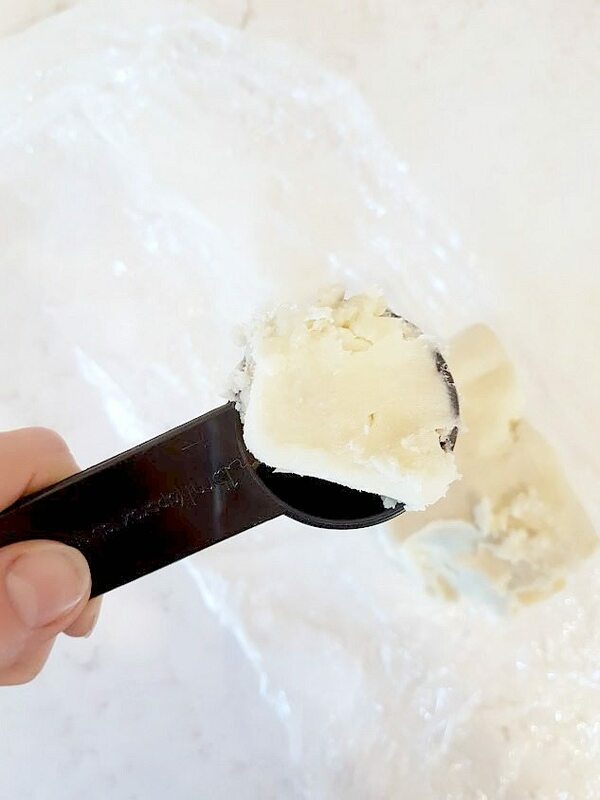 Did you realize how easy it is to make your own homemade lip balm? I swear, you can’t screw this up. I decided to make a citrus lip balm using grapefruit and tangerine essential oils. So easy and yummy! 2 tbsp Beeswax. Get pellets instead of a block – it’s easier to work with. 15-20 Lip Balm Tubes. They come in clear, white, and all kinds of colours! 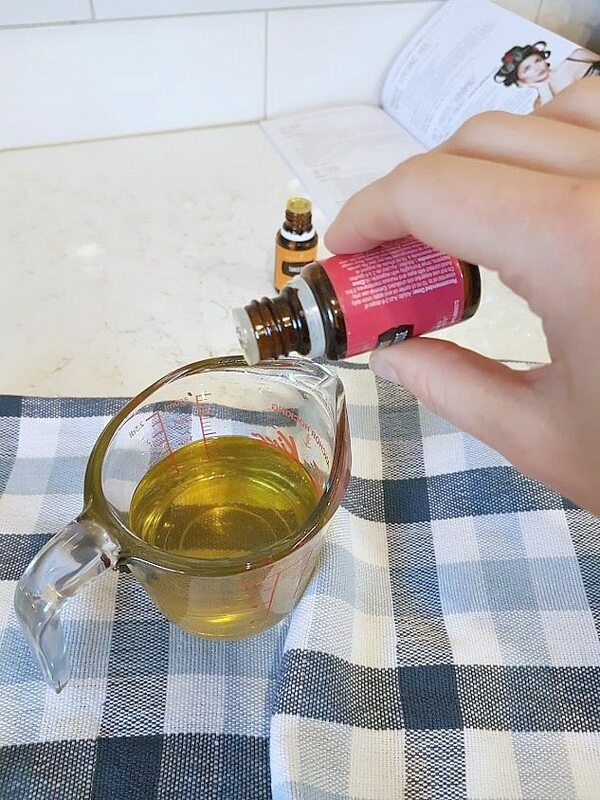 20-30 drops of Essential Oils. I used Young Living Grapefruit and Young Living Tangerine. If you didn’t want citrus, peppermint or lavender are both nice options. A Syringe. You can use a leftover syringe from a baby medicine or prescription. 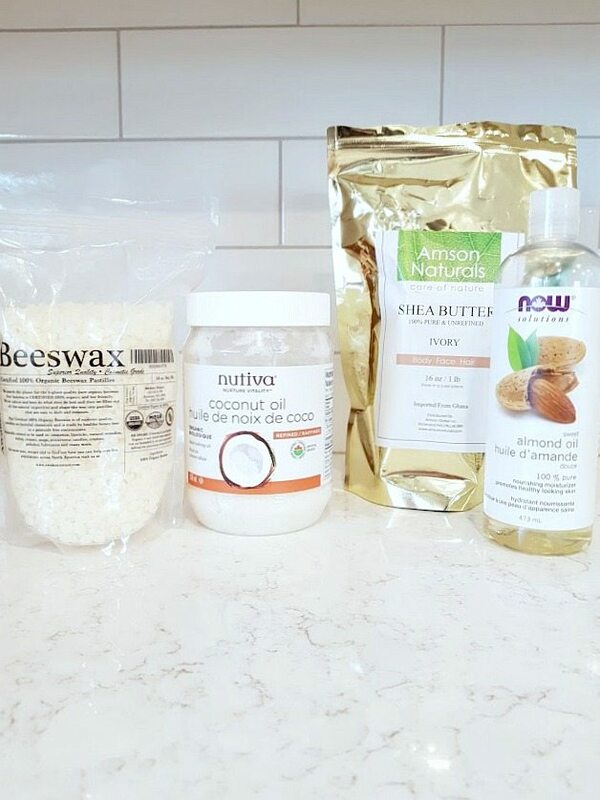 Put your beeswax, shea butter, and coconut oil all in a glass bowl or measuring cup. 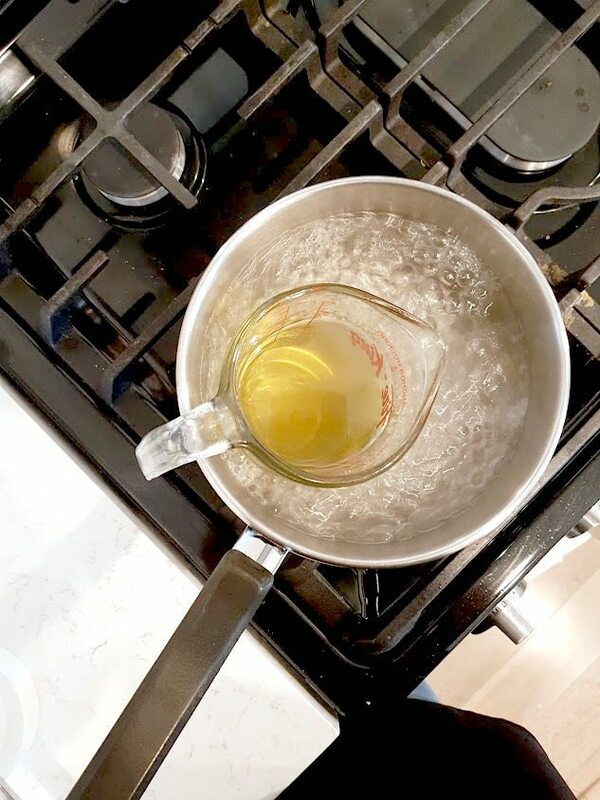 Insert this into a small pot of boiling water (use a double boiler if you have one!). Stir the mixture while it melts. You want to get all the lumps and bumps to melt away and create a liquid. Note: If you want a thicker, longer lasting lip balm, then increase the beeswax a bit. Instead of using 2 tbsp, try 2.5 tbsp or even 3. Once it has melted into a liquid, remove from the stove. This is when you’ll add in your essential oils. Because I wanted a citrus flavour for my lip balms, I went with a mixture of grapefruit and tangerine. Smells SO good! I did about 15 drops of each (30 drops total). Peppermint or lavender are nice flavours too! Just use the amount of drops that scent your lip balm the way you like it. Did you know that there is a big difference in the quality of essential oils out there? Make sure you are using pure oils from a company you can trust. You can read more about the brand I use here. 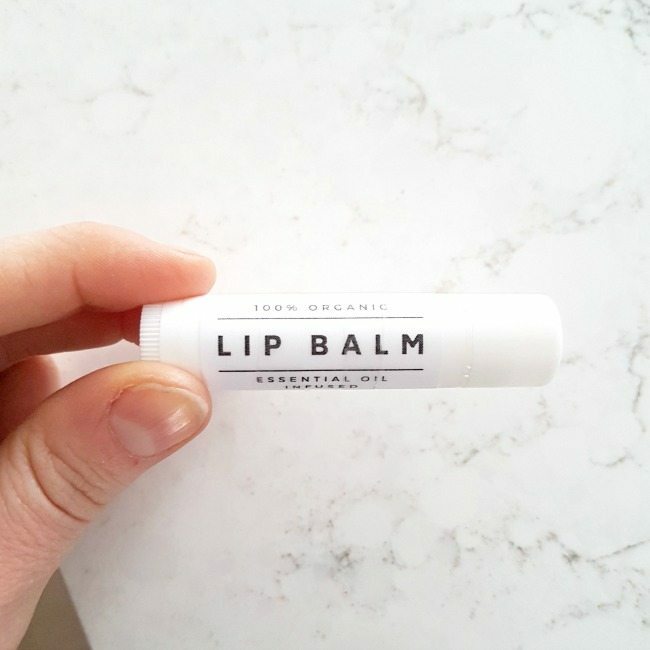 Now it’s time to fill up your lip balm tubes! 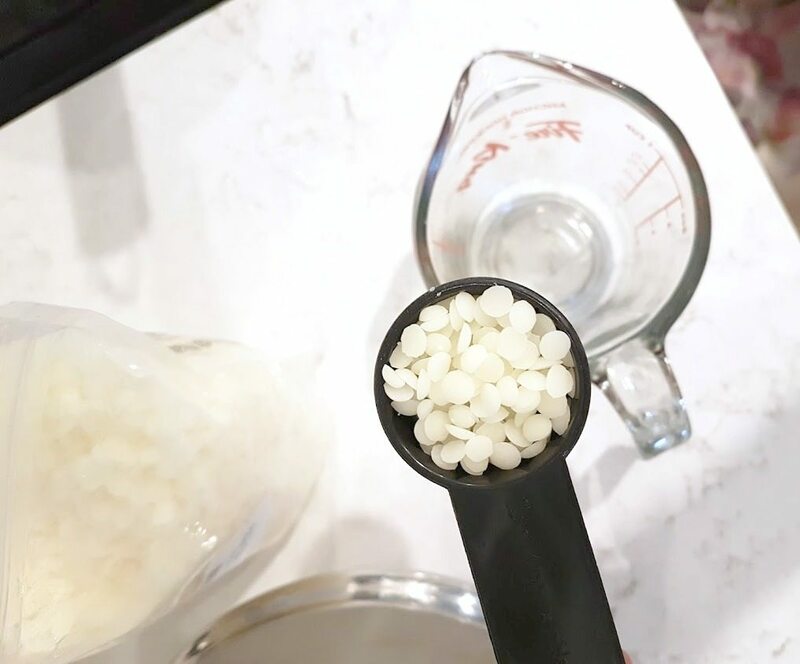 Here’s the trick to making this part easier: Instead of just trying to pour your mixture into the tubes, get a syringe or dropper to help you out. I had a syringe left over from some baby advil that worked perfectly. 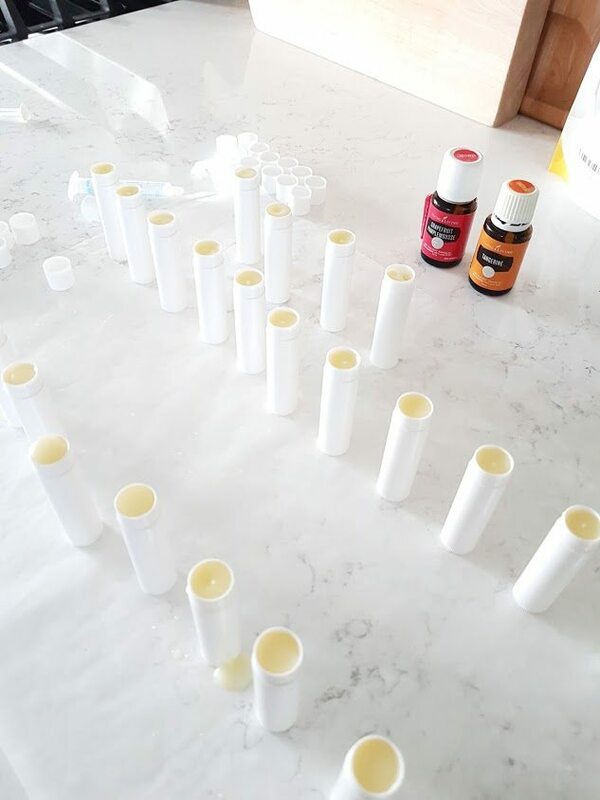 Line up your lip balm tubes (I placed mine on some wax paper in case there were any spills!) and syringed in the mixture all the way to the top of the tubes. Work quickly, because the mixture will harden relatively fast and you want to make sure to get all your tubes filled up before it does. 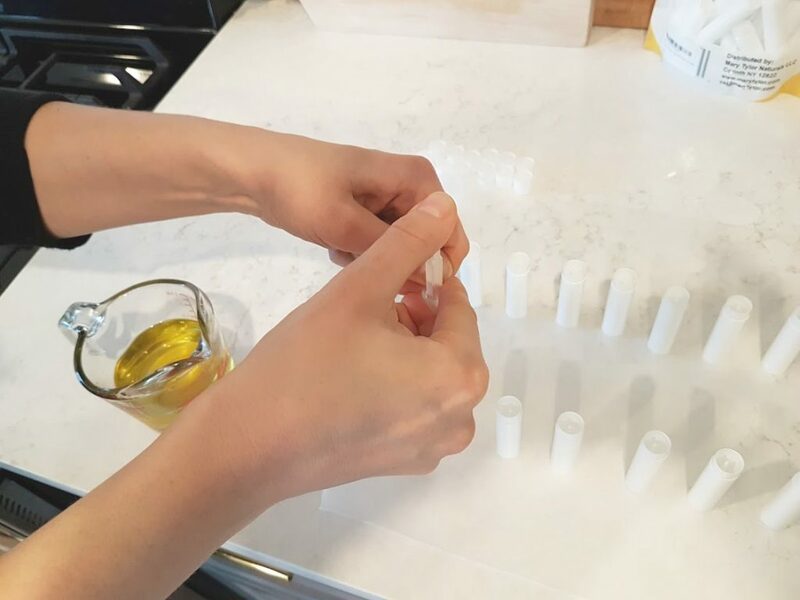 This recipe makes 15-20 lip balm tubes. You can leave your tubes the way they are, or get fancy and add your own labels! Two options. You can either grab a label maker – I have this Brother one – and print out a bunch of labels. This is good if you like a simple typographic look. Second option is to use these downloadable ones I created. 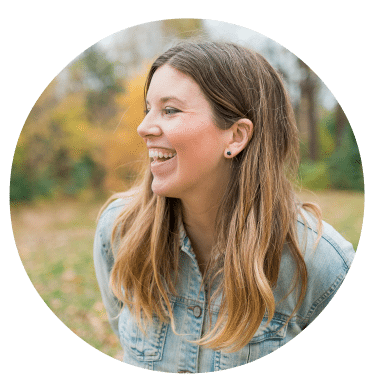 Just sign up below this post for access to my Free Printables Library and you’ll see it in there! Print them on full sheet sticker paper (you can do this at your local Staples if you don’t have a printer at home), then cut down to size, and apply to your bottles. These make amazing little gifts!! That’s it. Homemade citrus lip balm. Super easy! In the picture of the oils/butters there is a bottle of almond oil. Is this supposed to be part of the recipe and was left out unnoticed? By the way, I loooooooooooooove your EO recipes! I was making a bunch of recipes at once – so the almond oil just snuck in there :) Thanks! hi, I tried to download your free printable but it doesn’t work, is there anyway you can send it to my email address? Or could you please provide a link? I love your recipe and the beautiful label! This looks fantastic! I have one question though- aren’t tangerine and grapefruit photosensitive? Could this cause sunburn on your lips? I used to enjoy scenting my face lotion with orange, and then realized I could only use it at nighttime due to the photosensitivity. Yep that’s a great point! Citrus oils ARE photosensitive. Probably for the summer months I’ll switch out to my peppermint or rosemary version. I like to switch up the flavours I make. 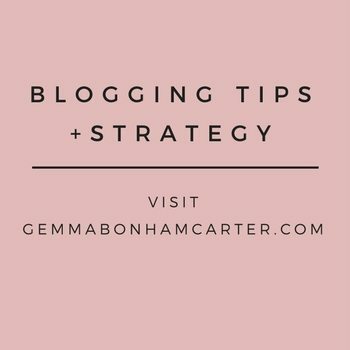 Love this post Gemma! I cannot figure out how to get the printable. 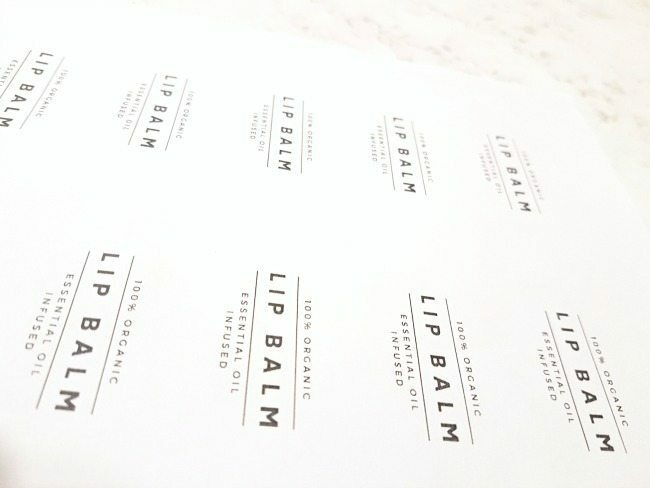 I’ve signed up under another printable but just got those, I do not see a link on this page for the lip balm label printables, what am I missing? Hi I just signed up but can’t find the link to download the free lables. :( ?